I have been loving the current trend of spotlighting with an inlaid die cut, and was inspired to make this card using a sketch challenge as my starting point. My circle dies are not stitched, so I added faux stitching. Elegant design - simple and so beautiful! Maxine this turned out really lovely. I like the splash of blue. We appreciate your wonderful art, so creative and beautiful. Thank you for sharing with us in the #236-#237 - Word Art Wednesday AG Challenge. Your card is so pretty. Love the elegant script of the sentiment. Fun and original card!The flowers look great like this! Enjoy your day! Great way to use the sketch and I love the spotlight effect too - you have pulled it off wonderfully with this card. 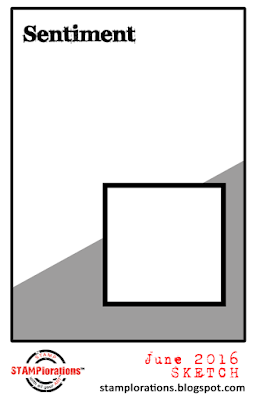 I really like this version of the inlaid die cut to spotlight something. This is way nifty! About my always tidy workdesk--I pick things up all the time because I have these CATS who try to craft when I'm not looking. They aren't so gentle with supplies. Oh this is a gorgeous card and so clever! very well thought! So pretty Maxine- love the technique you created with! Stunningly elegant Maxine. Lovely technique and beautifully done. Nice CAS Card! I like the lay out you have used! Love the inlaid die technique! Very pretty card! Great idea with the faux stitching, well done! Thanks for sharing with us at Word Art Wednesday!! A fabulous technique and a stunning card! Thanks for joining the Southern Girls this challenge! Great card using this technique! Love the pop of the blue! Thank you for sharing with us this week at Inspiration Destination, good luck! Love the spotlighting! 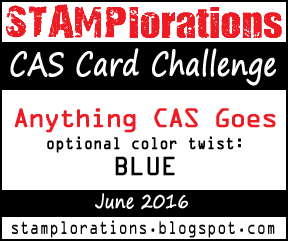 Thanks for joining us at CAS STAMP-lorations Challenge! I do declare, Maxine, you are one of the most creative people I know. Your ideas are endless, and your card is lovely. Thanks so much for sharing it in our challenge. I'm so grateful to have you play along, and I hope that you will join us again real soon. Have a blessed week, and God bless you! www.karen-mycuprunnethover.blogspot.com - I'd love to have you stop by and say hello sometime. WOW! I love this card, Maxine!